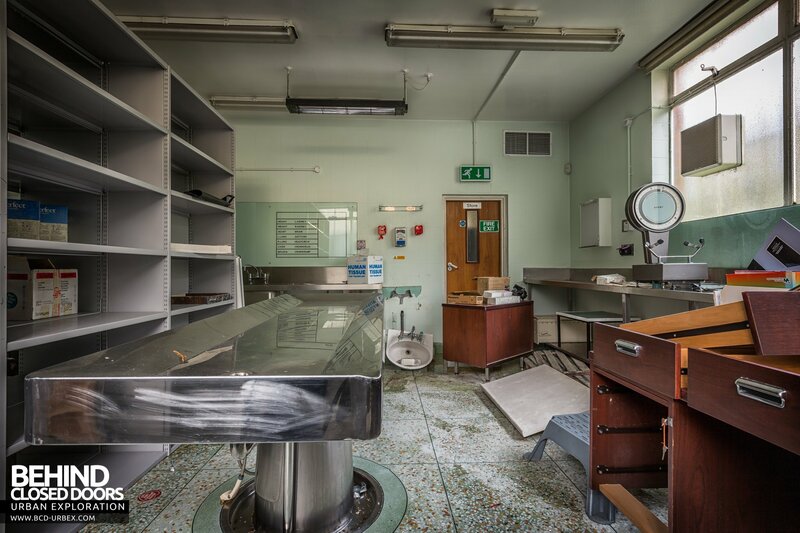 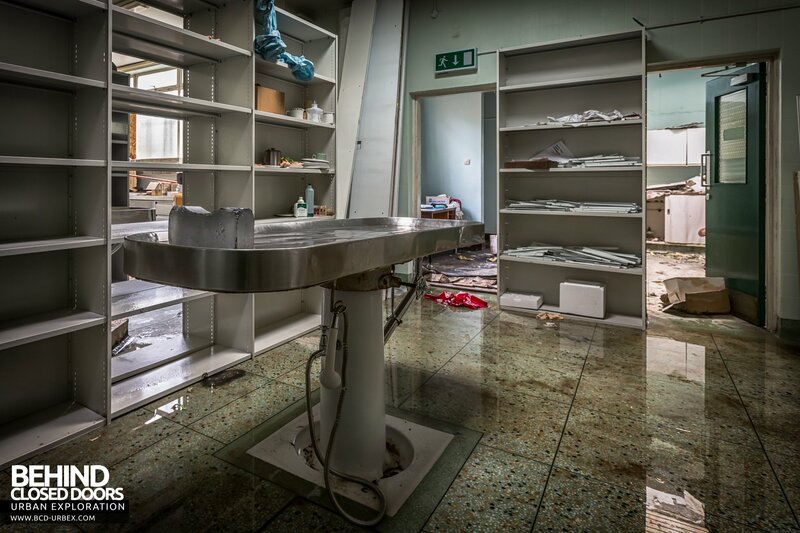 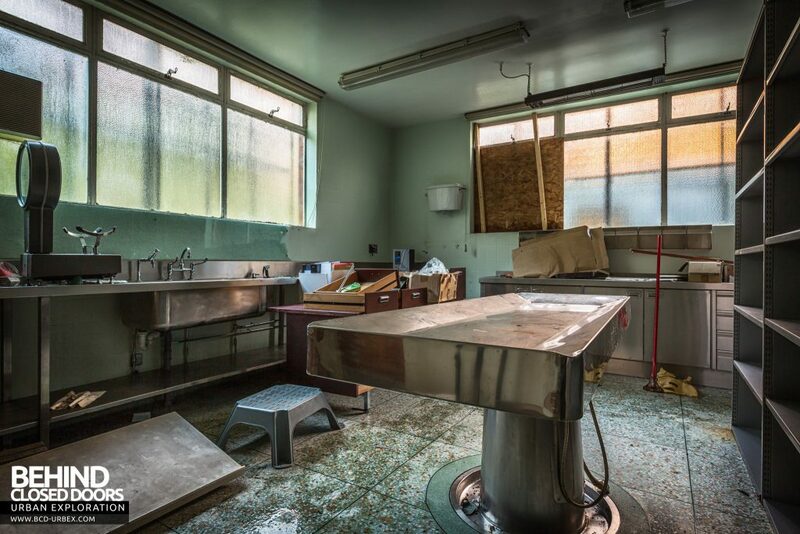 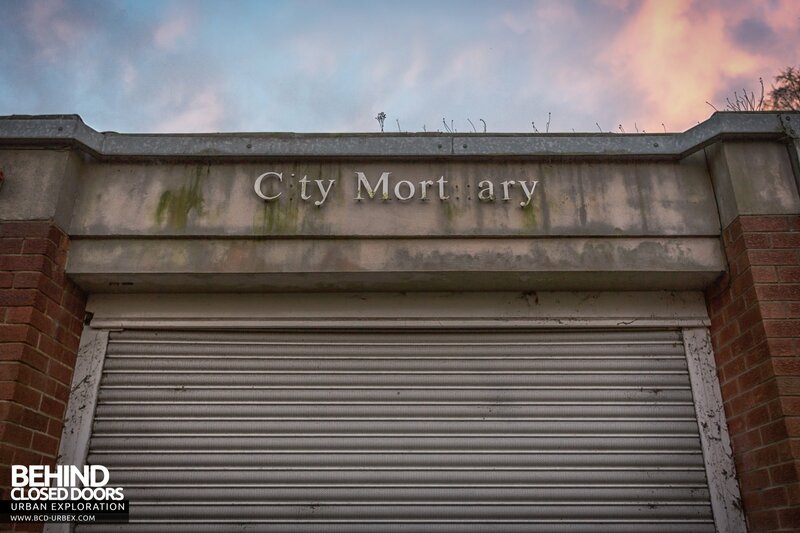 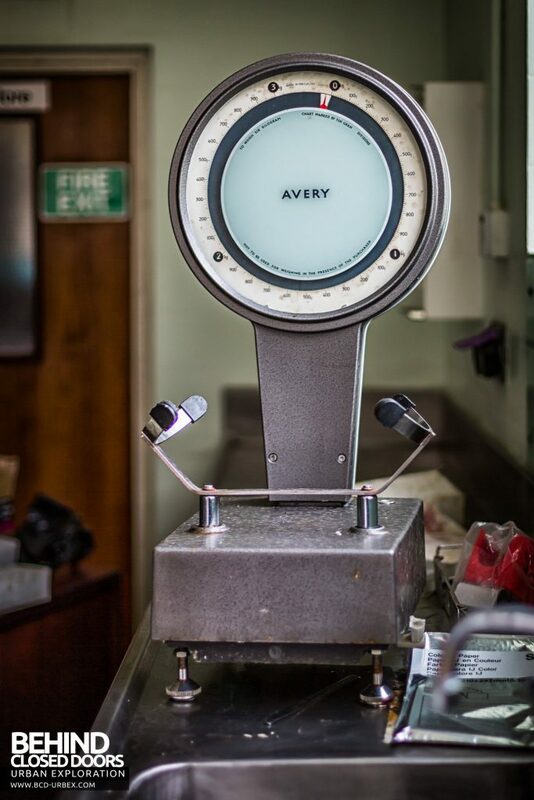 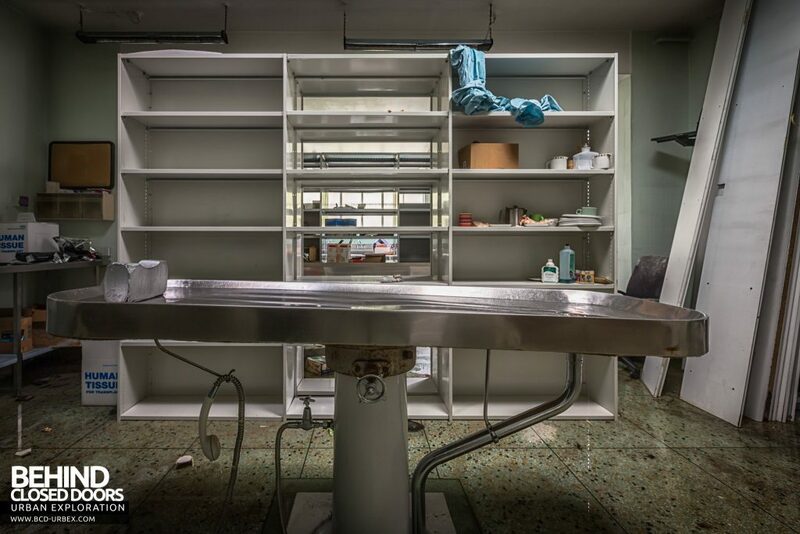 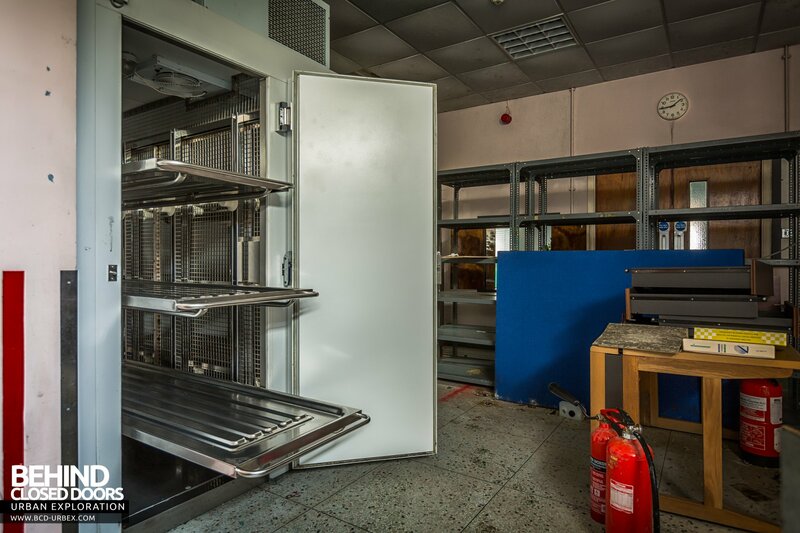 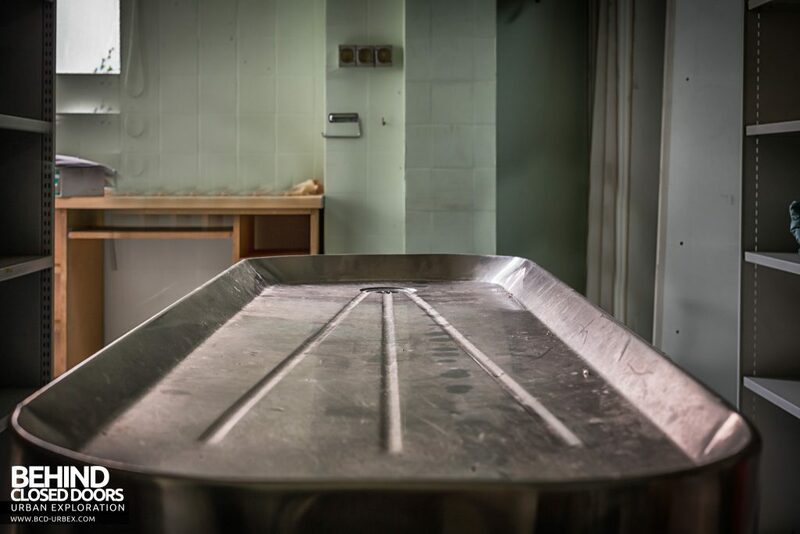 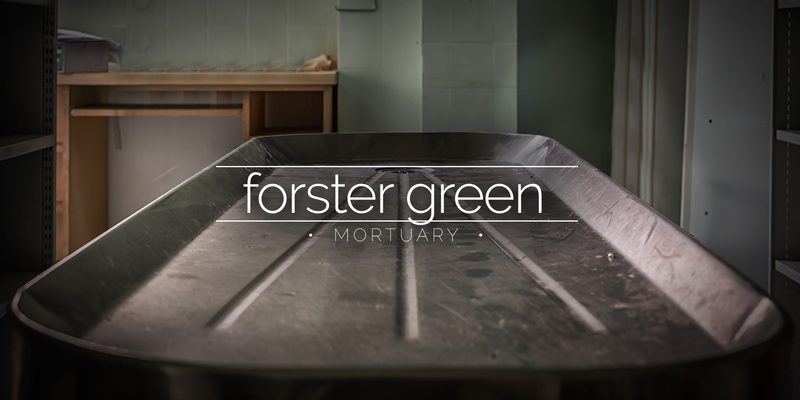 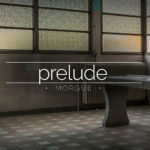 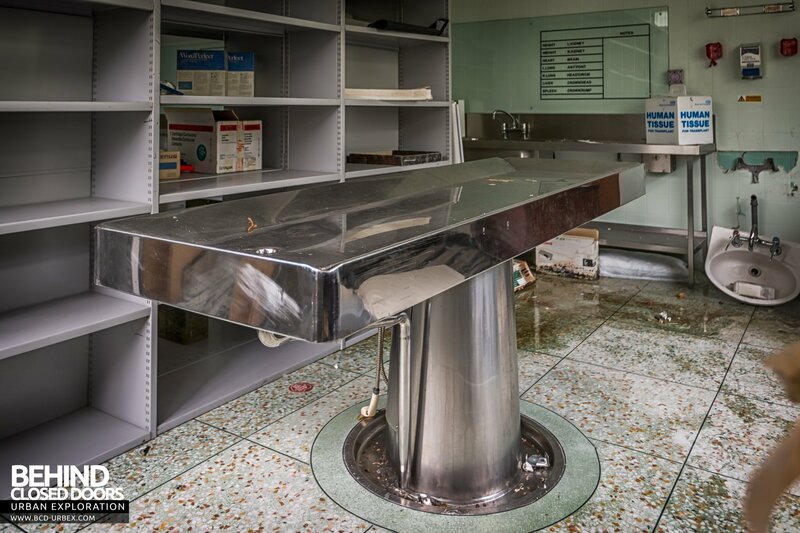 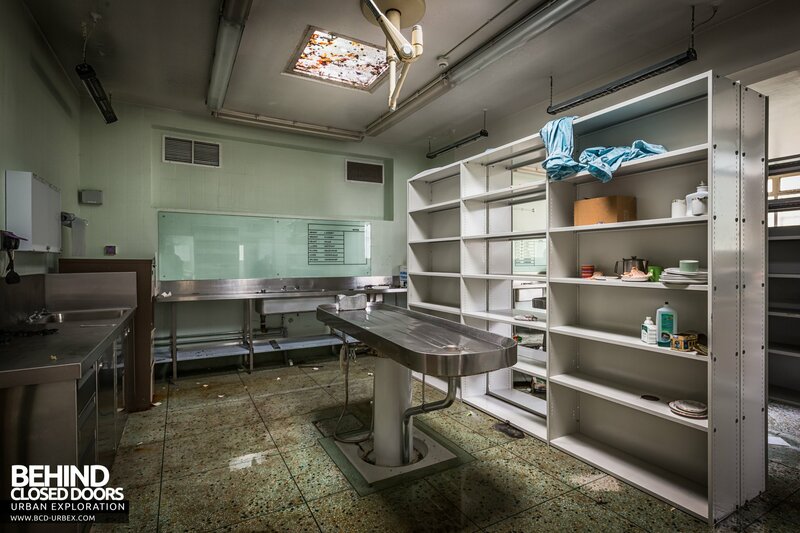 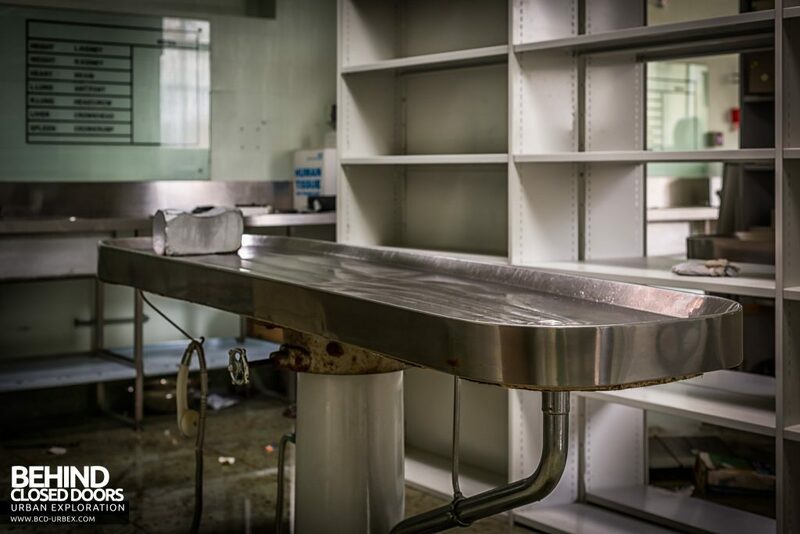 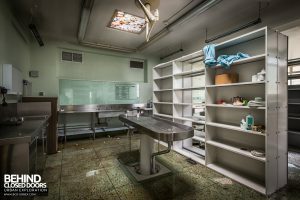 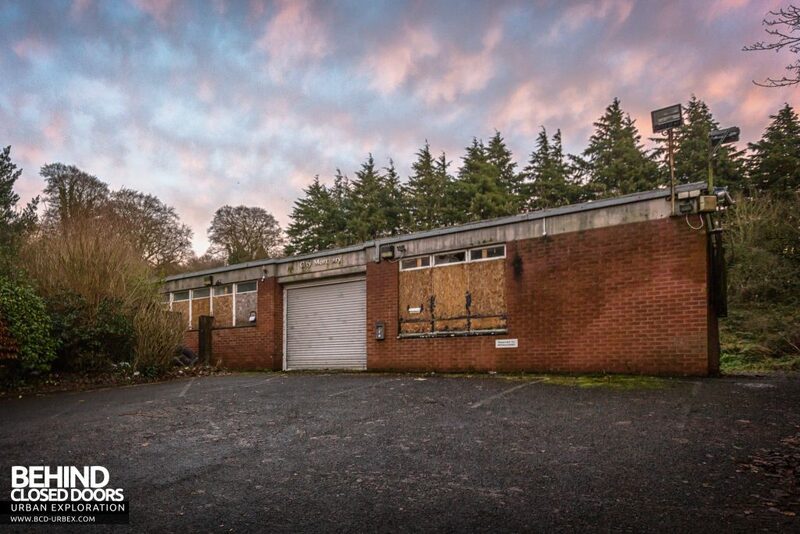 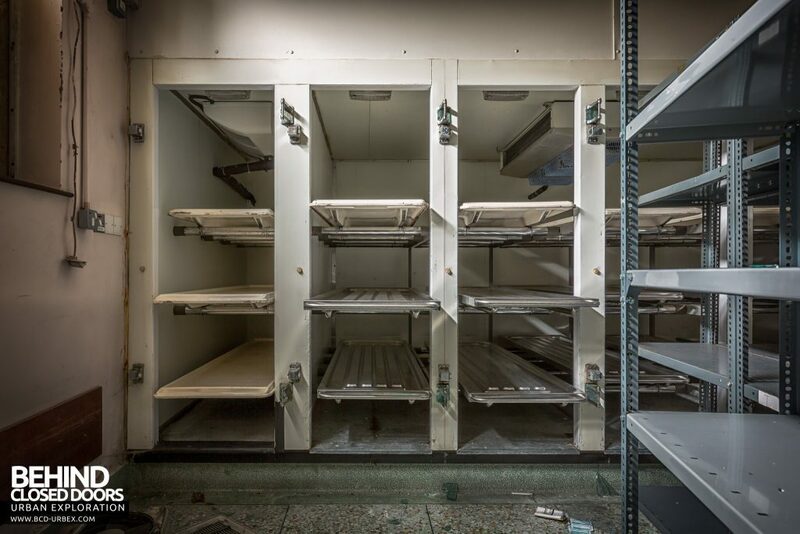 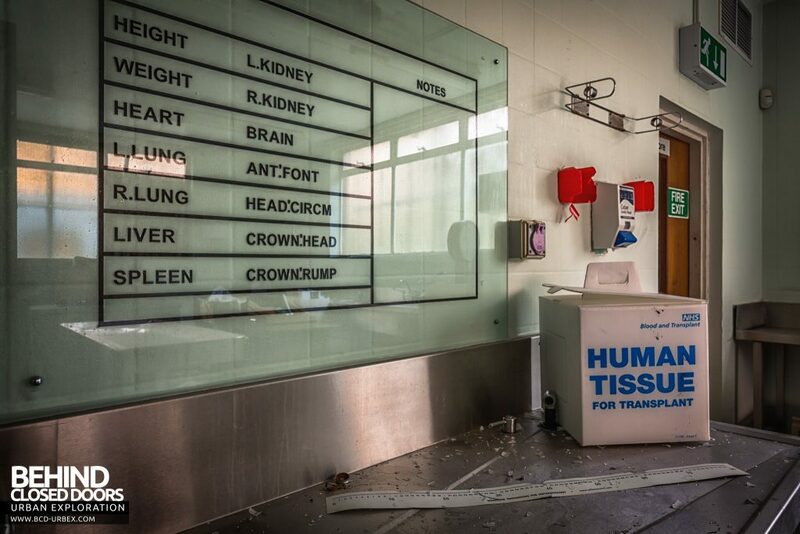 The former City Mortuary at Forster Green Hospital in Belfast, Northern Ireland has been closed for a number of years.The morgue had been used as a storage area by the hospital after closure, although it would appear this had stopped some time ago too. 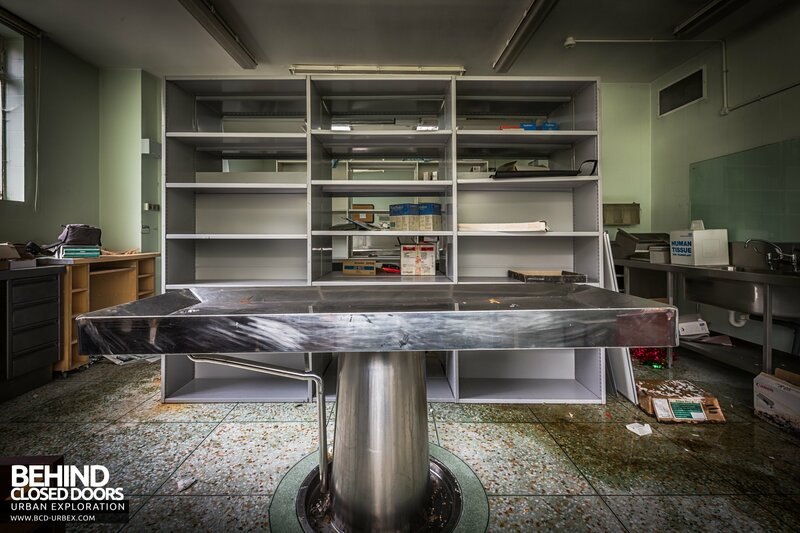 The three metal slabs remain in place, although now with storage shelves placed between them. 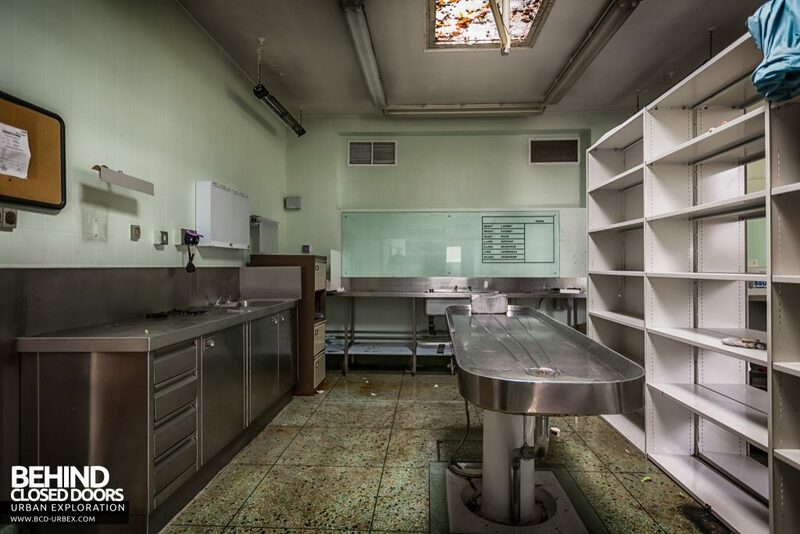 The small chapel where bodies would be identified remains, along with fridges for the storage of the deceased.